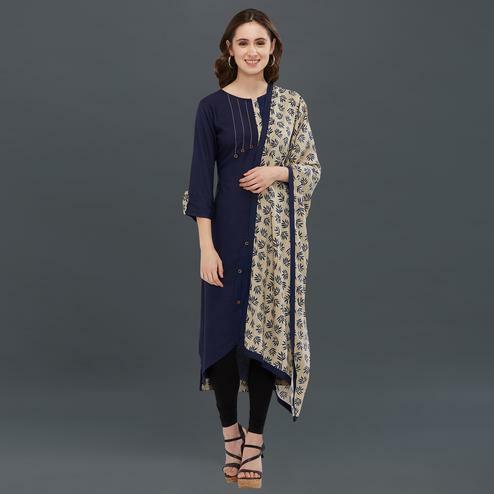 Navy blue georgette fabric kurti features high low style hem, button placket, 3/4th size sleeves, geometrical and chevron pattern digital prints. 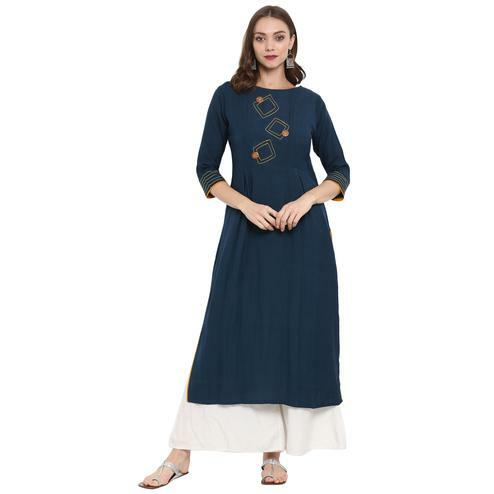 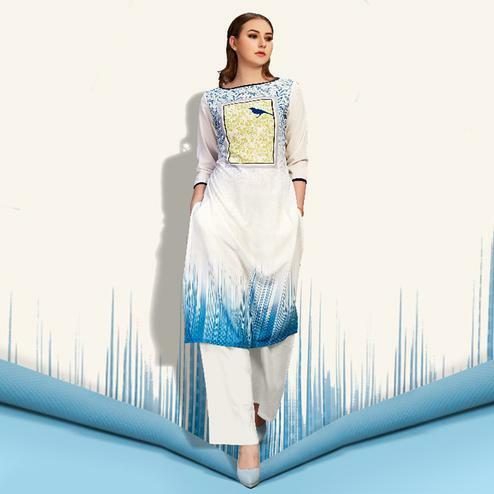 You can match this stitched kurti with jeans or leggings. 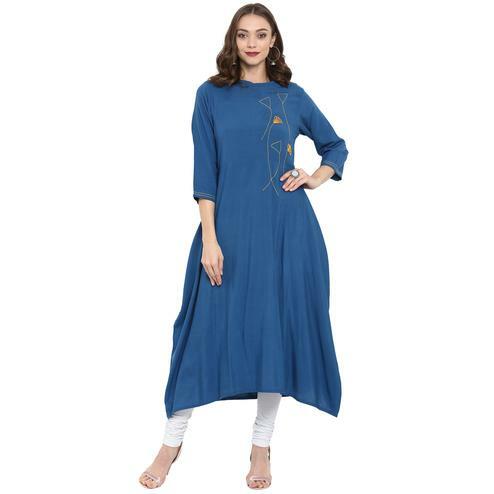 It's a perfect kurti to opt for casual outing and weekend get together.